This is soooooooooo fun! I love love love love the camper and that sentiment is PERFECT!!!!!!! Totally adorable. Love the camper! sooo fun, love the camper teamed up with the gingham! Awe what a cute little camper card. So cute! I love all the camper stuff out now! Love the camper and sentiment. Adorable! 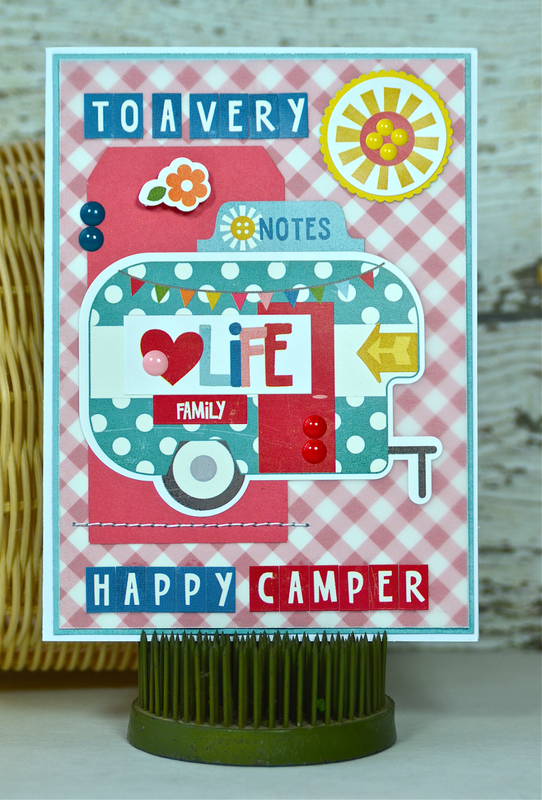 This card totally won my heart with the pink gingham background and that ADORABLE camper/trailer!! I love the addition of enamel dots in all the perfect places! Added an extra dollop of cuteness with those!! So very cute and awesomely done!!! Love love love these happy colours! What a sweet card! Love the sentiment and the camper! Another awesome card, Lisa! Love the different look on both cards, using the Fine and Dandy collection! !